So for a recent challenge, I cleaned out my master bedroom. You would not believe what I found! One of my biggest finds was unused gift cards. 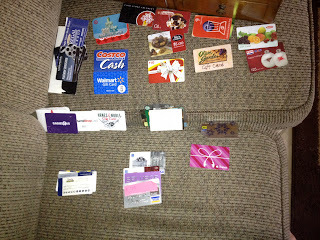 You see, when I got gift cards, I would put the ones that I knew I needed right away in my wallet, and the others I would just place in my night stand to grab when I needed them. Well after a few years this meant that i had a ton of cards in my drawer and no clue how much money was on ANY of them. So I used the internet and my phone to try and find the balances. Then I started looking up/calling to find the balances. When I did, I wrote the balance on a post-it and wrapped it around the card. 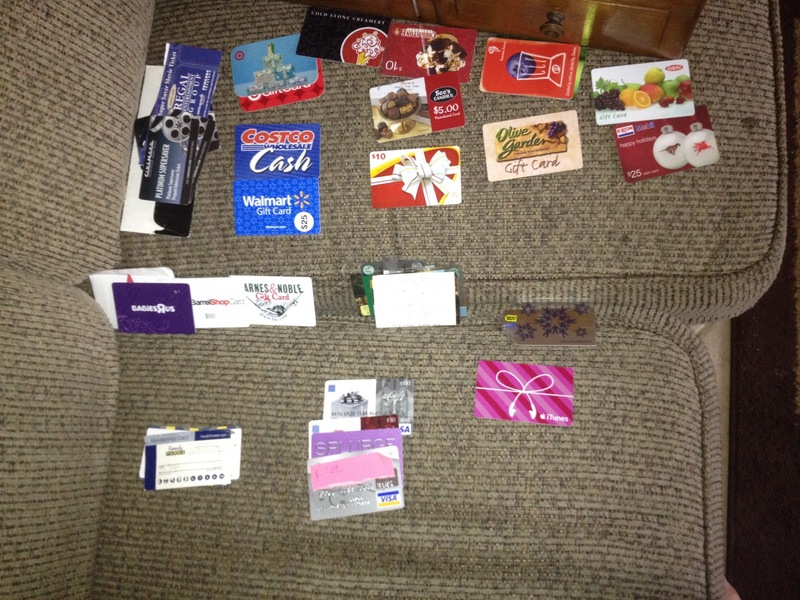 Do you have any unused gift cards laying around? Check them out, you may discover you have more buying power than you thought!